Network Security Groups (NSG) are an improvement upon VM endpoint Access Control List (ACL) rules. They provide network segmentation within an azure VNET at the infrastructure management level. This is an improvement over the earlier endpoint protection where you can define an ACL to define rules and permit or deny ingress traffic to the public IP port. ACLs only apply to incoming traffic, whereas NSGs apply to both ingress and egress traffic. You must first remove an ACL from any endpoints on a VM to use NSGs. The two (ACL and NSG) cannot co-exist on the same endpoint. Today there is no support in the portal for NSGs. It all needs to be done via the REST API or PowerShell. NSGs do not work with VNETs that are linked to an affinity group. Web proxies (mask actual incoming and outgoing IP addresses) and DNS servers are usually put in DMZ since they are exposed to the internet. NSGs can logically create this type of abstraction for your VNET. Are applied to all VMs in a subnet in a VNET in the same region. VMs must be in a regional VNET. NSGs can be applied to an individual VM as well. Egress traffic goes through the VM rules first, then the NSG rules in the subnet. ACL rules on multiple VMs can be quickly changed in one operation vs. having to go into the firewall on each VM individually. You make the changes at the NSG level and don’t even need to go into the VM. 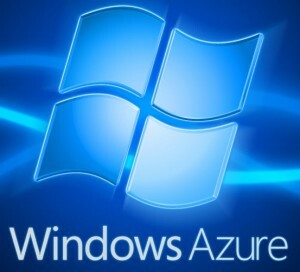 Azure provides default NSG rules around the VNET, and access to the internet, that you can modify if needed. It also provides default ‘tags’ to identify the VIRTUAL_NETWORK, AZURE_LOADBALANCER and the INTERNET. These tags can be used in the Source/Destination IP address to simplify the process of defining rules. Defined rules are prioritized in their execution (as in the case in most business rules engines) so that the most importantly prioritized rules are executed first. For more information on NSGs refer to “About Network Security Groups” at https://msdn.microsoft.com/library/azure/dn848316.aspx.